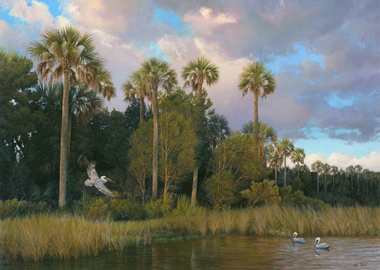 The Plainsmen Gallery is proud to represent the fine art of talented and popular Florida artist Charles Rowe. 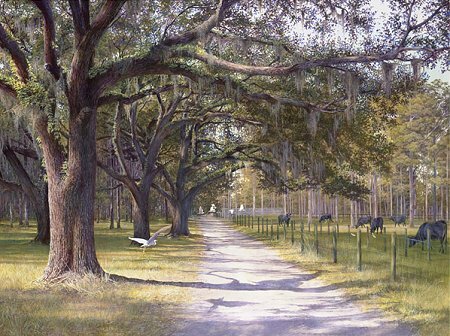 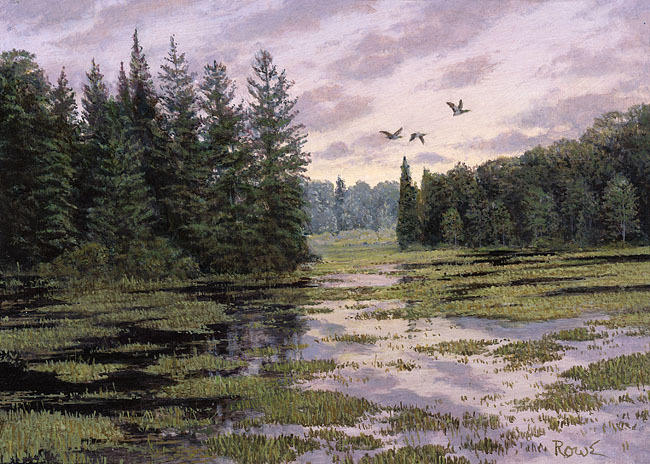 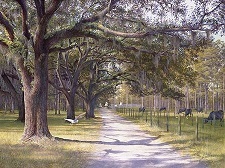 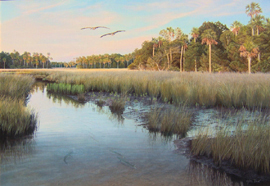 Charles is recognized as one of the premier landscape and wildlife artists in the southeast. 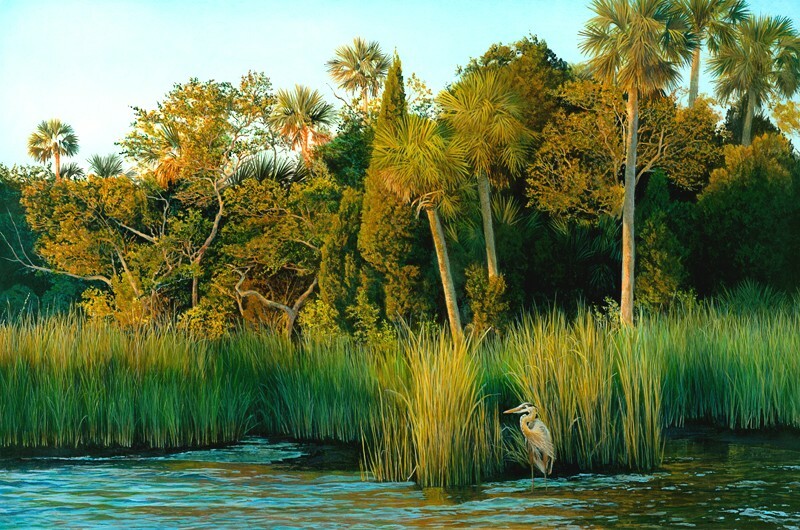 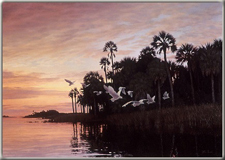 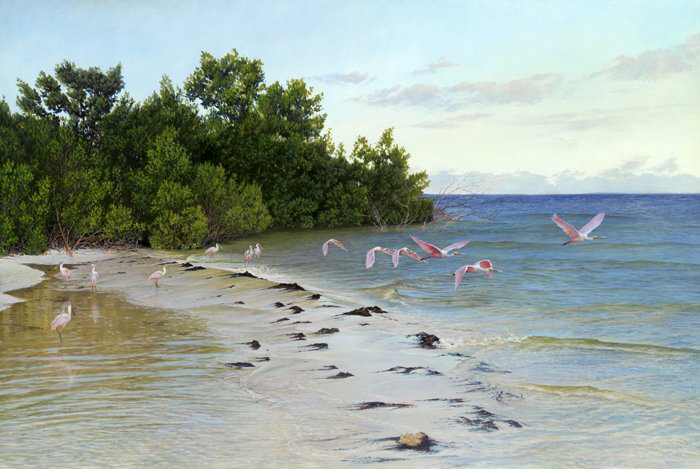 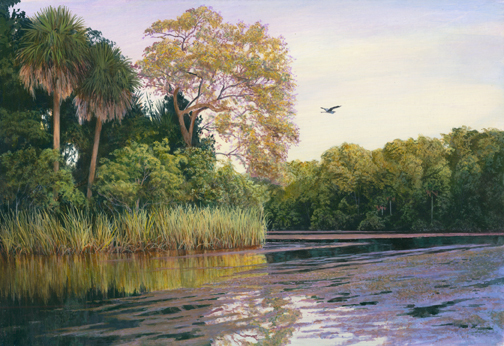 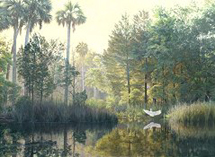 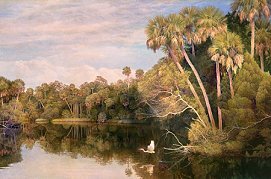 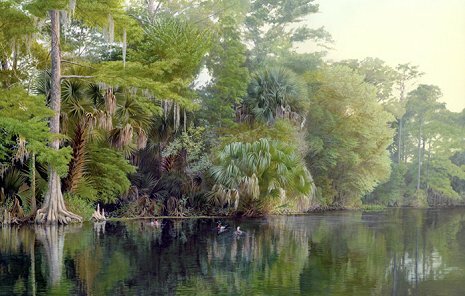 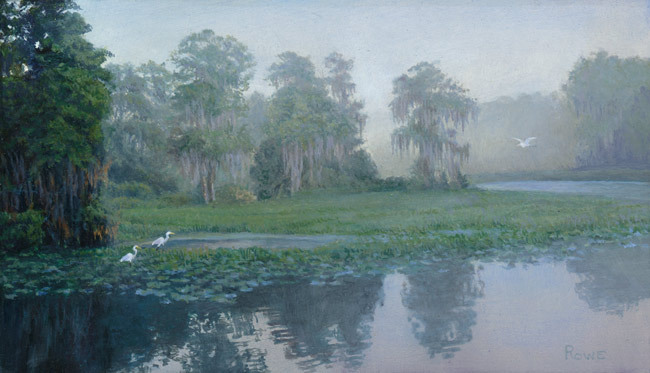 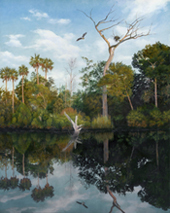 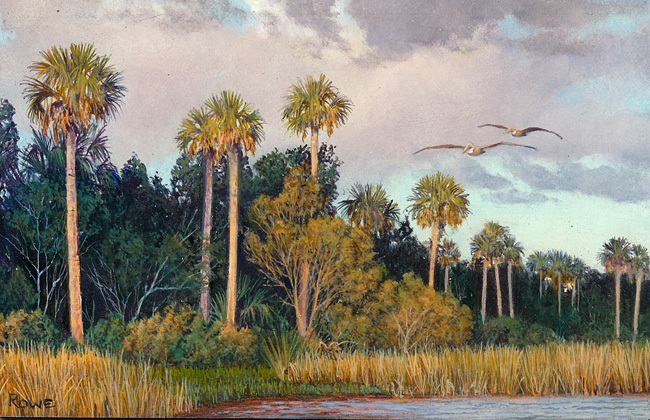 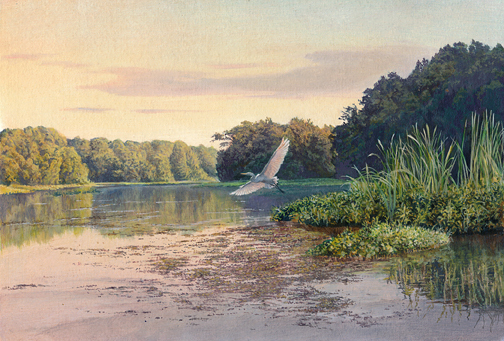 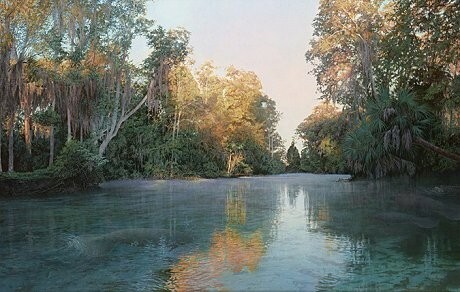 His realistic paintings capture the pristine beauty of Florida's wilderness and beyond. 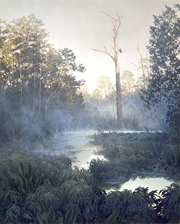 See Charles Rowe's original oils and prints at The Plainsmen Gallery in Dunedin. Charles Rowe's paintings portray the beauty and timelessness of the natural world. 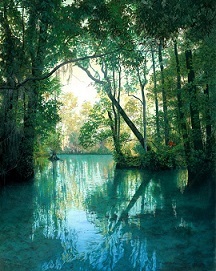 He attended the School of Visual Arts in New York City and the Colorado institute of Art. 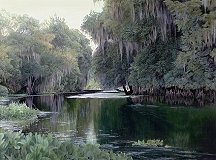 He was commissioned to paint the Suwannee River for Governer Bob Martinez, and his work has been featured in many national publications. 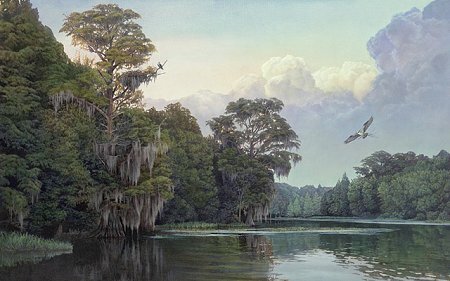 Mr. Rowe's artwork has been exhibited in museums in Florida and Wisconsin, and he has been recognized as one of the "Artists to watch" in the South. 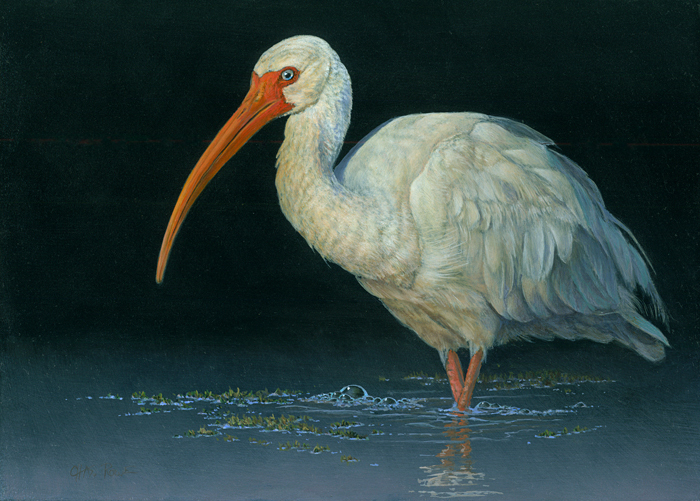 He has participated in the prestigious "Birds in Art" show at the Leigh Yawkey Museum in Wisconsin. 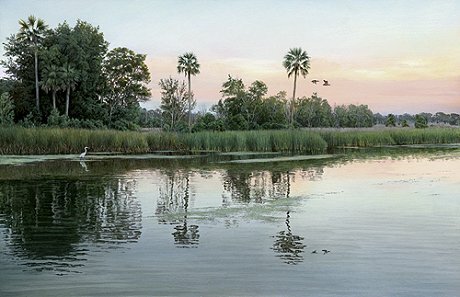 Charles has won numerous awards in national art shows across the country, including the Miniature Art Society's Annual Show in Tarpon Springs, FL! 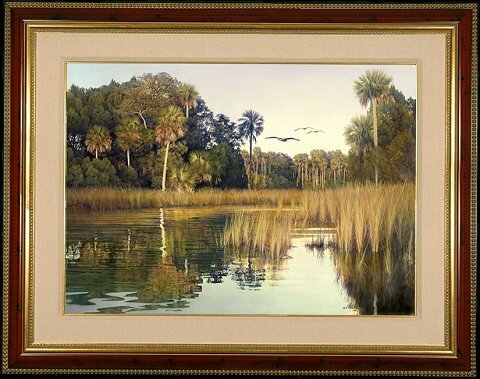 Call the Plainsmen Gallery for more information about Charles Rowe's paintings or prints: (727) 734-8200 or email art@plainsmen.com. "Dolphins" Oil by Charles Rowe, 16"x24" $6,500 SOLD Giclees are available! 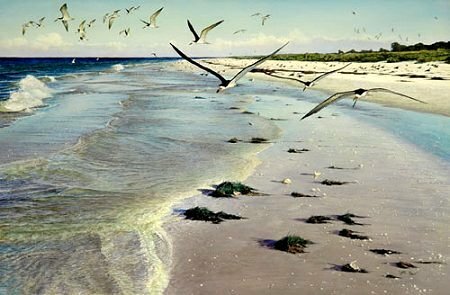 "Spring" Giclee by Charles Rowe, 20"x16"
"Rooker Bar-Black Skimmers" by Charles Rowe 18"x28"
Giclee $450 unframed, $750 framed, or 14"x20" $210 unfr. 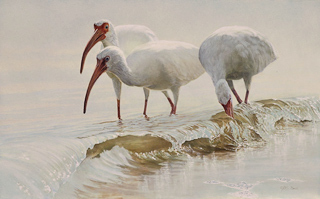 "Three Rooker Bar, Spoonbills" by Charles Rowe 20"x30"
"Pelicans Along the Gulf Coast" by Charles Rowe, 18"x26"
"Gulf Hideaway" by Charles Rowe. 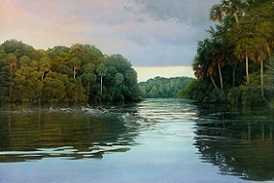 15" x 23"
"Silver River" Limited Ed. 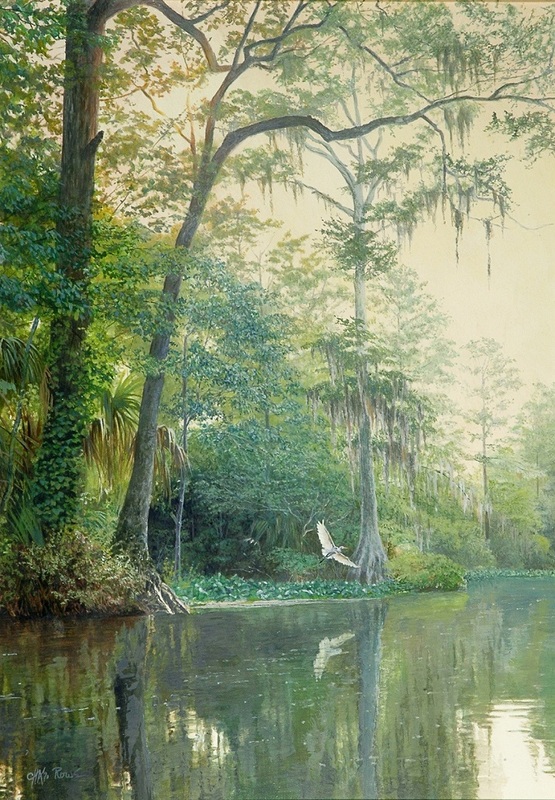 Print by Charles Rowe, 16" x 26"
"Withlacoochee Gator" by Charles Rowe. 14" x 19"
"Gulf Coast Evening" By Charles Rowe 16" x 24"
"Wary of the Weather" by Charles Rowe. 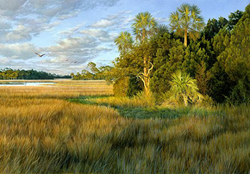 20" x 32"
"Florida Ranch" by Charles Rowe 18" x 24"
"Cold Snap" by Charles Rowe, 26" x 21"
"Sun-Up" by Charles Rowe. 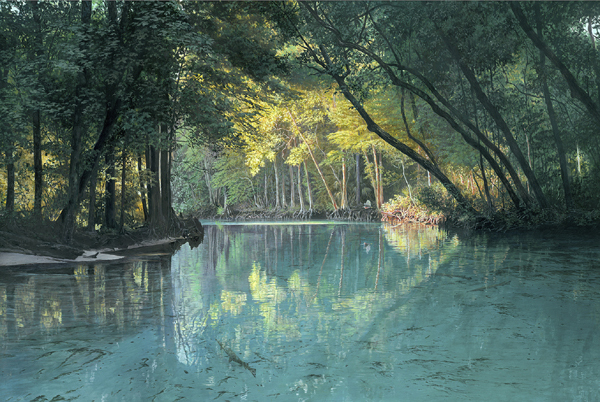 18" x 24"
"Halls River" by Charles Rowe 12" x 18"
"Weeki Wachee River" by Charles Rowe. 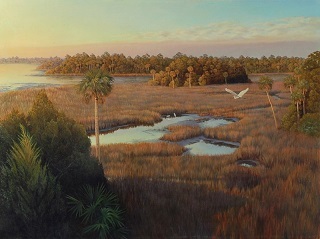 16" x 24"
"Wacasassa Osprey" by Charles Rowe. 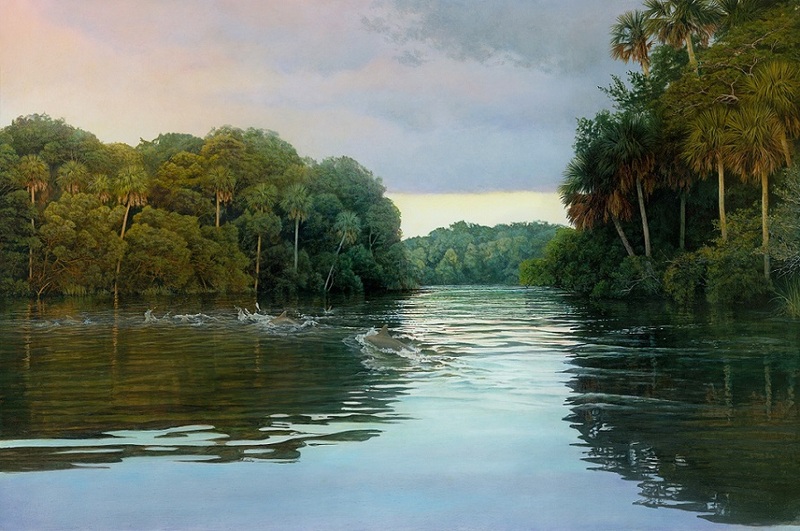 26" x 21"
"Warm Waters" by Charles Rowe. 20" x 28"
"Local Color" by Charles Rowe 20"x 28"
Charles Rowe's canvas giclees and paper prints can be custom printed in a variety of sizes. To inquire about other originals and prints by Charles Rowe call The Plainsmen Gallery 727-726-5100 or email art@plainsmen.com.